The German A-4 ballistic missile, better known by its propaganda name of V-2, was the world's first successful ballistic missile, breaking through the atmosphere to reach its target quicker. It was a forerunner of Cold War ballistic missiles and its combat use in 1944-45 set the pattern for the use of Scud ballistic missiles in recent decades. The V-2 offensive lasted from September 1944 until Mar… ch 1945 with over 3,000 rockets being launched. 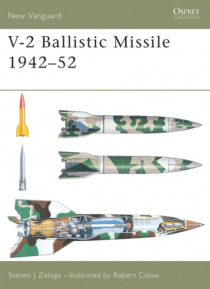 This book examines the combat record of the V-2 in World War II, with a special focus on how a German missile battalion actually prepared and fired its missiles.